Robert Scoble started a great discussion about the sexyness of enterprise software. Michael Krigsman, Nicholas Carr, Phil Wainewright, Goerge Ou and many others stepped in. I've never worked in a project building a consumer application. 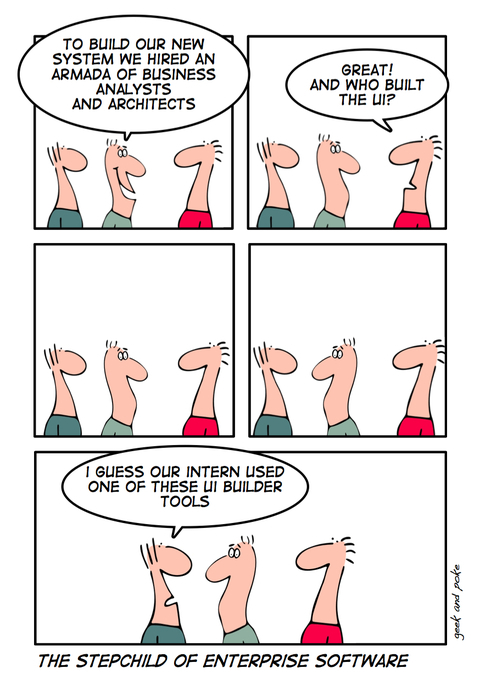 But since 10 years I'm working in enterprise application projects. All of us working in this business have to admit that very often the single most important part of the system - where it meets its users - is neglected.